September 13, 2018 1:09 pm. Hugh Bowman has ridden Winx in a work-out ahead of her bid for a third George Main Stakes. Trainer Chris Waller has described Winx as picture perfect two days out from her bid for a 20th Group One win . Winx will run in Saturday’s George Main Stakes (1600m) at Randwick and victory will extend her winning streak to 27. 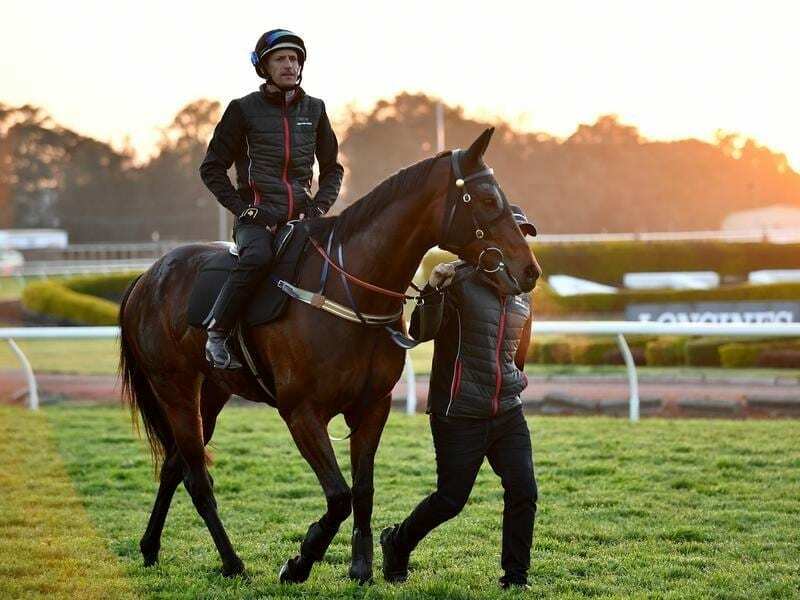 Hugh Bowman rode her in a work-out at Rosehill on Thursday morning after which the mare was the subject of attention at her now-regular photo-shoot. Since she last raced in the Winx Stakes on August 18, Winx has been kept up to the mark with her regular track work supplemented by a race day jump-out at Randwick last Saturday week. “Having four weeks between races is pretty straightforward now but it’s four weeks to worry about things,” Waller said. Bowman was also confident after the gallop that Winx was where she needed to be. “I’m a bit more comfortable leading into her second-up run,” he said. “We’ve seen her come to the races and perform at the level we know she can. Shortly after Winx’s hit-out stablemate and George Main Stakes rival Unforgotten also worked on the course proper on Thursday with Kerrin McEvoy aboard. Waller had a change of heart with Unforgotten who he thought might struggle to get a start in the Caulfield Cup. But in the order of entry released on Wednesday, the mare is guaranteed a berth with Waller opting to run her in the George Main rather than the Makybe Diva Stakes at Flemington on Saturday. “She is a very talented horse but she can’t beat Winx unless she has an off day and she hasn’t done that for 26 starts,” he said. Waller has the Epsom Handicap and/or the Caulfield Cup as options for Unforgotten.